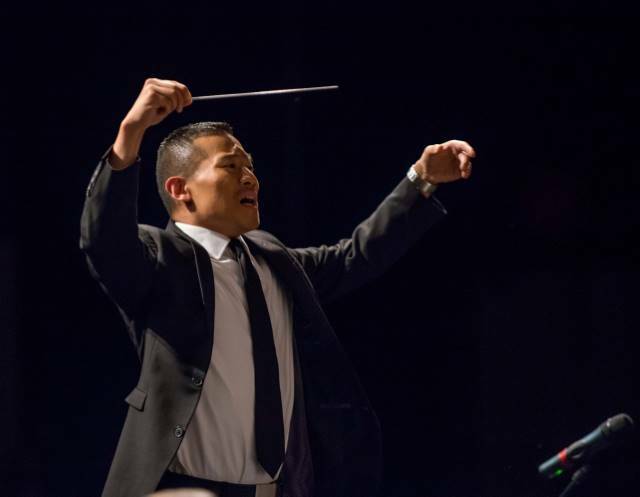 This wind ensemble program at NEC Prep is open to junior high school-age (grades 6-9) woodwind, brass, percussion, harp, double bass, and piano players. Auditions are generally at the level of Jr. District auditions. Auditions for Jr. MYWE are held in the spring for the following year. Additional audition times may be available in the fall for any remaining openings. Please contact the Prep office if you are interested in auditioning. Seating Audition Sign-up: After gaining admission to the ensemble, all Jr. MYWE students will take a seating audition on September 8, 2018. Seating Audition Requirements: Jr. MYWE students should prepare 2 scales of their choice. Additionally, students should prepare their instrument's part from Shostakovich's 'Festive Overture' as arranged by D. Hunsberger. PDFs of the parts may be found below. The students should prepare the entire part as the panel will choose which section they would like to hear at the audition. Percussionists: Percussion students should prepare one solo work or excerpted selection of their choice displaying their technical and musical ability. No excerpts are required for the Jr. MYWE percussion seating audition. Seating Audition Excerpts: Students should download, print and prepare the excerpts appropriate to their instrument. All excerpts are ensemble specific and the following excerpts should only be prepared by students admitted to Jr. MYWE. Please contact Laura Mixter, Large Ensemble Coordinator, with any questions you may have. Contact Laura Mixter, Large Ensemble Coordinator, or call the Prep Hotline at (617) 585-1160. During the academic year, MYWE members can also contact the Jr. MYWE student manager.